San Diego, CA, December 15, 2009 -- San Diego Fertility Center, one of the most respected and successful infertility clinics in the United States and a leading fertility center in Southern California, is proud to announce that Dr. Michael Kettel, MD has been honored by his patients with a Patients' Choice recognition. "This award sets a standard of excellence for San Diego Fertility Center and reflects our commitment to our patients and dedication to their needs," says Dr. Kettel. "The entire staff works together to ensure a satisfying patient experience." Every month, more than 40,000 patients across the U.S. provide online feedback about their experiences with their doctors on websites like Vitals.com, RightHealth.com, Google.com, and a variety of Managed Care sites, many of which are viewed by more than 150,000 people on a daily basis. Over the course of 2008, these reviews have totaled hundreds of thousands of patient opinions about qualities like bedside manner, doctor-patient face time, degree of follow-up, and courtesy of office staff. Of the nation's 720,000 active physicians, less than 5% were accorded this honor by their patients in 2008. While physicians generally receive positive reviews from their patients, only a select few receive uniformly rave reviews across the board. Of those that receive rave reviews, only physicians like San Diego Fertility Center's Dr. Kettel - with near perfect scores - have been voted for this honor, which reflects the difference he has made in the lives of patients. On behalf of all the staff at San Diego Fertility Center, we congratulate Dr. Kettel on his honor and wish him continued success in the future. Dr. Michael Kettel graduated with honors from the University of Arizona. 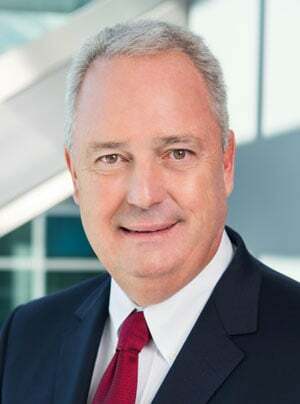 He joined the San Diego Fertility Center in 1996 after serving as the Director of Infertility Services and as a member of the academic faculty at the University of California, San Diego for more than 6 years. He has received many academic and teaching awards and has published over 100 scientific papers, articles and book chapters on the treatment of endometriosis, uterine fibroids and ovulatory disorders. 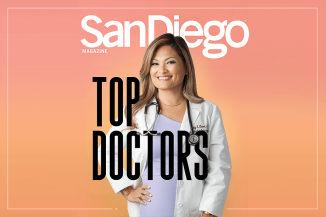 He has been one of Woodward/White, Inc's "Best Doctors in America" since 1997 and one of the "Best Doctors in San Diego" since 2001, according to the San Diego County Medical Society. His recent interest lies in the area of preimplantation genetic diagnosis (PGD) and new delivery systems for hormonal medication.